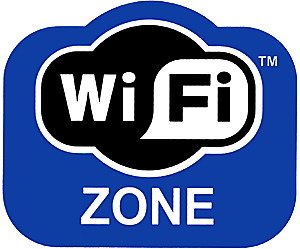 Wi-Fi, also known as IEEE 802.11, is wireless technology used all over the world to access the Internet with potential speeds faster than cable and DSL modems! Wi-Fi broadcasts are similar to the radio. Transmissions can be received inside our outside your home, business, or favorite place. Enjoy speeds as fast or faster than DSL while accessing the internet. Fast, Secure, Affordable, and Easy! No credit cards needed to sign up! Whether at the local coffee shop on Clearwater in Kennewick, at home in south-Richland, or at work in Pasco, we are able to successfully provide Wi-Fi services, point to point services, and fixed wireless options to business and residential. With our partnerships with the Benton and Franklin County PUDs we are able to provide wireless solutions to many locations throughout the Columbia Basin. Need a quick fix and some free internet access? Cline Computers & Barracuda Coffee provide FREE wireless internet access in the Westgate Shopping Center in Richland. Come enjoy a cup of coffee while taking care of some work or checking your email. Through our partnerships we are able to provide Wi-Fi service in the Three Rivers Toyota Convention Center. If you're having a day long or all weekend event and need internet access, give us call for hour long, day long, and weekly internet access while at your meeting or special event! 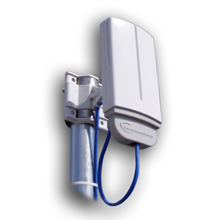 With the support and hardware from TrangoBroadband, we are able to implement fixed wireless and point to point wireless solutions. If your business is in need of 1MBps, 3MBps, 5MBps, or up to 10MBps of local or internet bandwidth we are able to assist! Across town or across the state, we are able to implement a fast and secure network that only you and your employees will be able to access.